OK, it's contest deadline time and GizmoCopter isn't flying yet. We'll say that up-front. But the deadline has arrived to post what we have. And so here it is. For the contest judges at Embedded Linux Journal, this is what we've got so far and what we've overcome to get here. Here are some notes we believe will be relevant for the judges. Libraries and drivers are all under GPL. The GizmoCopter Project entered into cooperation with Armadillo Aerospace (AA) of Dallas, TX to create the OpenVTVL Project at SourceForge, in order to publish our source code. (VTVL stands for "vertical takeoff, vertical landing", a rocketry term equivalent to VTOL used for aircraft.) AA, led by John Carmack of Id Software (of Quake and Doom fame), has successfully achieved a short controlled VTVL flight, the first ever by an amateur rocketeer, earlier in 2001. It can be done! The Flight Control and Telemetry Protocol (FCTP) for use in sending commands and retrieving data (telemetry) over a radio link. Specifically supported radio transports are AX.25 Amateur Packet Radio, 802.11B Wireless Ethernet and Ricochet Starmode. The Flight Sensor and Control Library (libfsc) acts as the hardware abstraction layer for the flight control software. Multiple implementations are intended to connect to actual hardware or to a flight simulator, so that the flight software cannot know which one it's in. The Diamond Systems MM series Analog I/O board (dmm-aio) driver for Linux will provide a kernel driver for the board, previously only available as user-level ioperm-enabled programs. By going into a kernel driver, interrupts can be handled and we can better take advantage of real-time scheduling features of the OS. The beginning of a flight simulator core is present. It needs to be integrated into libfsc when that's done. We are using the following packages on-board the flight computer. 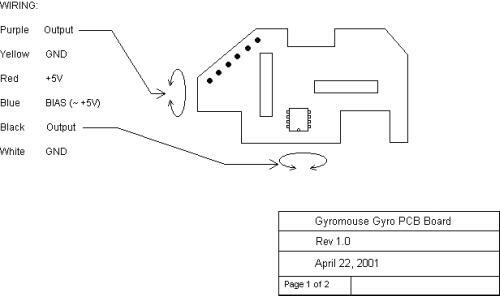 We briefly showed GizmoCopter to the Silicon Valley Linux User Group (SVLUG) before the main speaker began at the Aug 1, 2001 meeting. The response was enthusiastic, and a great moarale boost for our team after all the time spent on this project so far. The MZ104 board sent to us by ELJ for the contest turned out to be easier to work with than the two Ampro 486DXe processor boards which we had already bought. But we still had problems to overcome. The memory that came on the board either had a flaw or was damaged by electrostatic discharge at some point. We were unable to install a kernel even to a connected hard drive until we bought a replacement SO-DIMM memory. The Disk-on-Chip remains inaccessible and hasn't been verified working. The merged combination of the external patches we used can be downloaded from OpenVTVL. And as stated above, we're writing our own "dmm-aio" kernel driver for the Diamond Systems PC/104 analog I/O board. By doing vertical takeoffs and landings, GizmoCopter is pushing the envelope for model aircraft in several areas. Battery discharge rate: The model aircraft racing motors used by GizmoCopter can draw 24 amps each. Everybody in model aircraft racing uses NiCd batteries for the motors because they're the only thing which can handle the discharge rate. 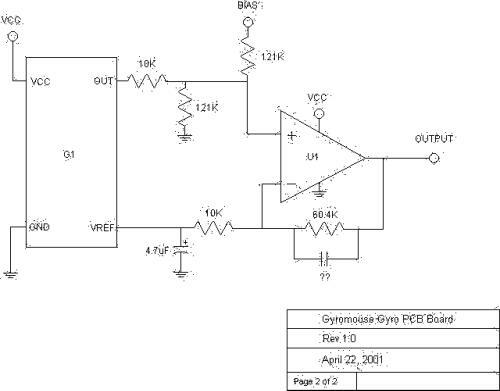 While model airplane racers can handle running that for a few minutes, we're at four times the power consumption. GizmoCopter's design point of 96 amps for 1-2 minutes is in the experimental category. We were able to select an appropriate battery set only with extensive battery discharge research. Propeller availability: We had almost taken for granted that since large standard propellers are easily available, that pusher versions of the same sizes would be too. They're rare. We finally decided on the 3-blade 14x7 propellers because they're good enough and there are pushers available. We can upgrade the propellers as we find more pushers and as we optimize the future performance of GizmoCopter for carrying payloads. We made a table of comparison of Propellers vs. Power Consumption. All motors for the craft have been purchased and mounted to the airframe. Four 3-blade 14" propellers were purchased today and installed on the motors. These are currently just for display because they're all standard propellers but we'll need two pusher propellers for flight. Two of the current set of props will become spares. The gizmocopter frame is still waiting for the new landing legs, but otherwise is more or less complete, save for the battery chassis. There will be two battery solutions used for' the gizmo- copter. A set of 4, 12 sub-C-cell packs will be used to power the lift motors. A battery solution for the PC104 stack has yet to be determined. The flight computer is currently operational, although it still needs to be configured to boot from the FLASH, disk on chip, memory. We had to replace the main memory on the MZ104 board. The flight kernel is Linux 2.4.6 with the patches/additions outlined above in the contest points of interest section. The ADC board is in-house and the driver is still being written. The PWM (pulse-width modulation) motor controller is on-order. The magnetometer and gyro sets are in house and awaiting an interface. The model helicopter horizon sensor is on-order. The basic stamp software is operational and can acquire up to 80 samples per second from the accelerometers. 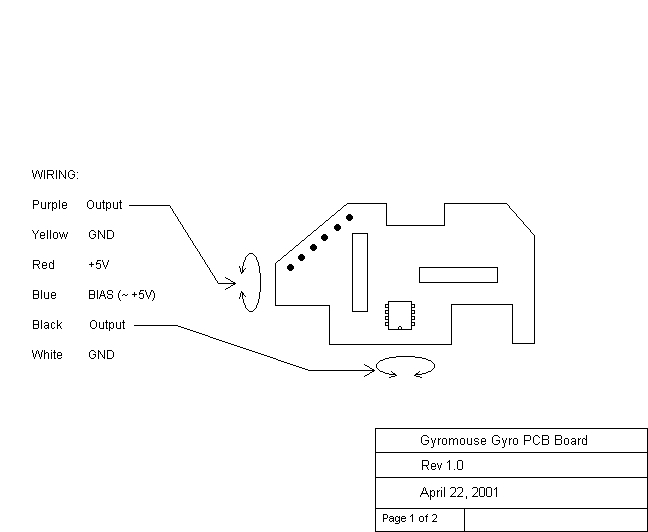 2 Solid state X-Y gyro PCBs from Gyromouse "GyroPoint Desk" mouse, which contain solid state X-Y gyro PCBs with Murata ENC05EA & ENC05EB solid state gyros. We acquired these at the surplus Weird Stuff Warehouse in Sunnyvale. 2 Analog Devices ADXL202EB 2G two axis accelerometer evaluation boards. 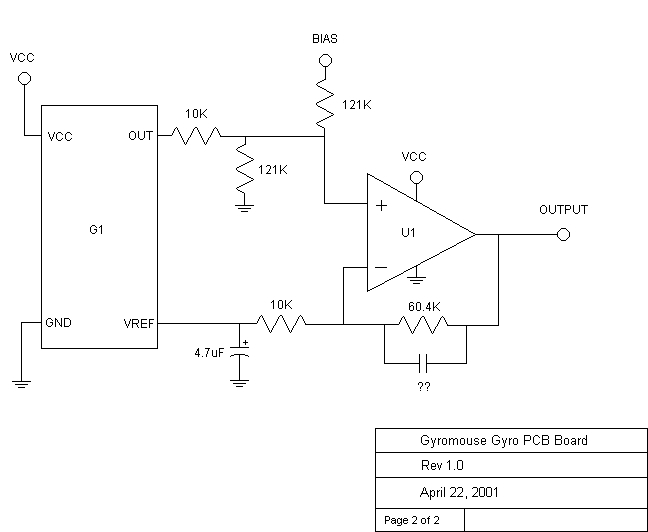 1 Parallax BS2SX Basic Stamp PCB.